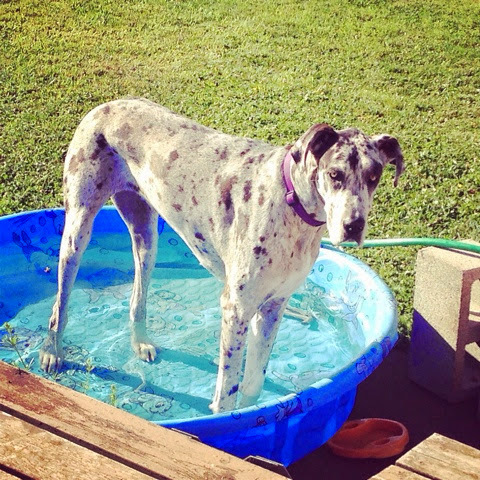 Back during our little heatwave, we had a few days of intense pool playing and purposeful cooling off. Rachelle and I spent a few good days together watching the big kids play, feeding and giving the little kids naps, eating lots of Popsicles, a bit of berry picking, and lots of talking. Andrew was gone for the STP bike ride, and her company helped me stay sane! Short waves of heat are bearable for me, but I am so glad that I don't live somewhere with that kind of heat all the time...Northwest girl for sure! Lucy thought I cleaned the pool just for her. And by the end of the day, it's a mud hole. 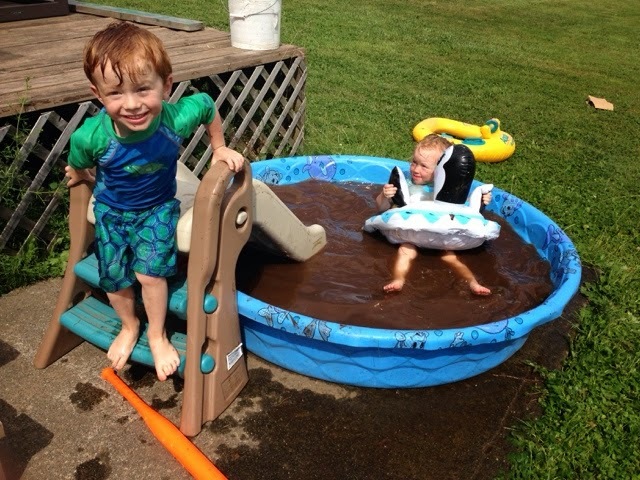 They were lathering themselves up in the dirt box and then jumping in the pool. It was delightful. 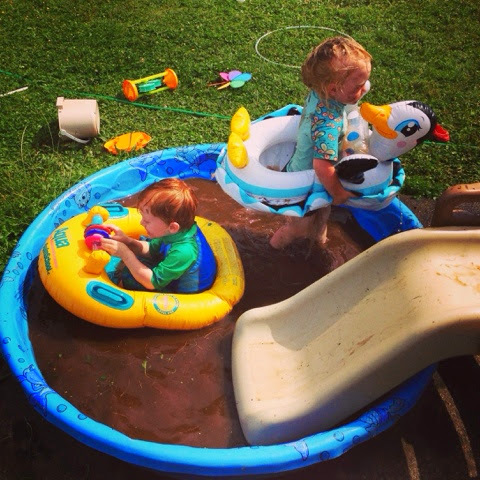 Because you totally need floaties and slide when the water isn't even knee deep.